This turkey avocado melt is just what you need for lunch. The perfect combination of spicy chipotle and creamy avocado all on a warm melted cheese sandwich that is sure to please. Follow along with the recipe below and add the ingredients to your grocery shopping list! This post is sponsored by Hillshire Farm® and Food Lion however all projects and opinions are my own. First I headed to my local Food Lion to pick up Hillshire Farm® Naturals. 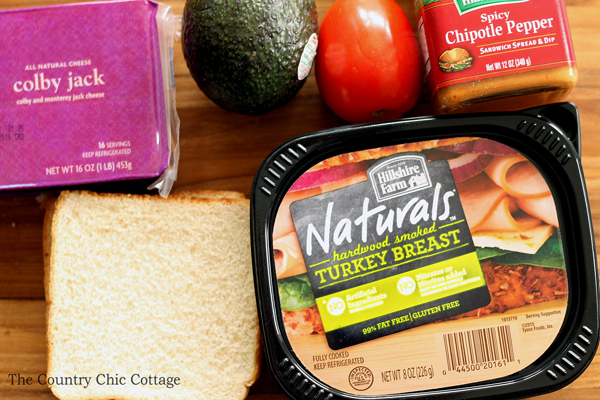 The naturals line of lunch meats can help you return to a wholesome healthy routine after the holidays. We are natural lunch meat fans and avoid those with nitrates/nitrites. 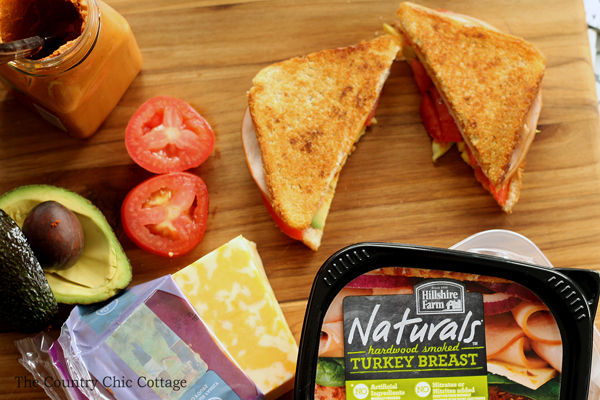 The natural goodness of Hillshire Farm® Naturals contain no artificial ingredients, preservatives, colors, or added nitrites/nitrates. (Except those occurring naturally in celery juice.) 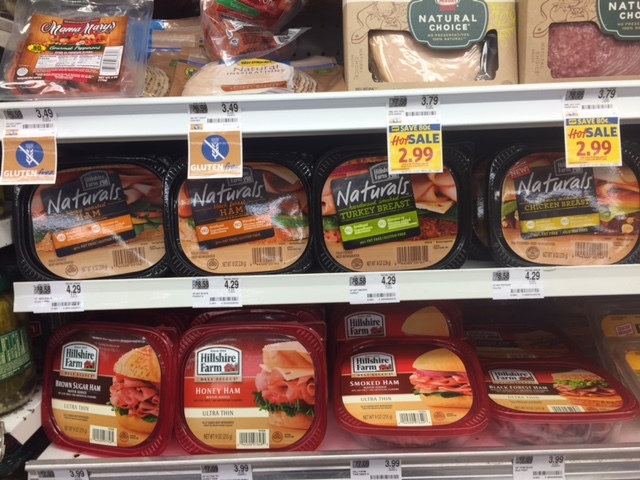 If you want to head to your Food Lion and try these for yourself, be sure to click here to save $1.00 on 1 Hillshire Farm® Lunch Meat Item (offer expires on 02/06/16). Now we can start cooking! Spread both pieces of bread with 1 tsp of the spicy chipotle spread or a spicy mayo. 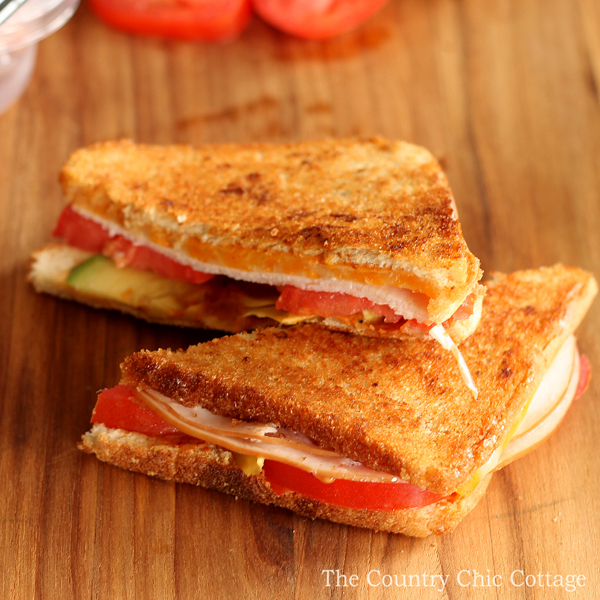 Layer on cheese, turkey, tomato, and avocado. Add to a skillet that has been heated over medium high heat with melted butter. Cook on one side until brown and flip to opposite side. Cook until the cheese is melted and both sides are brown. Slice in half and dig in! 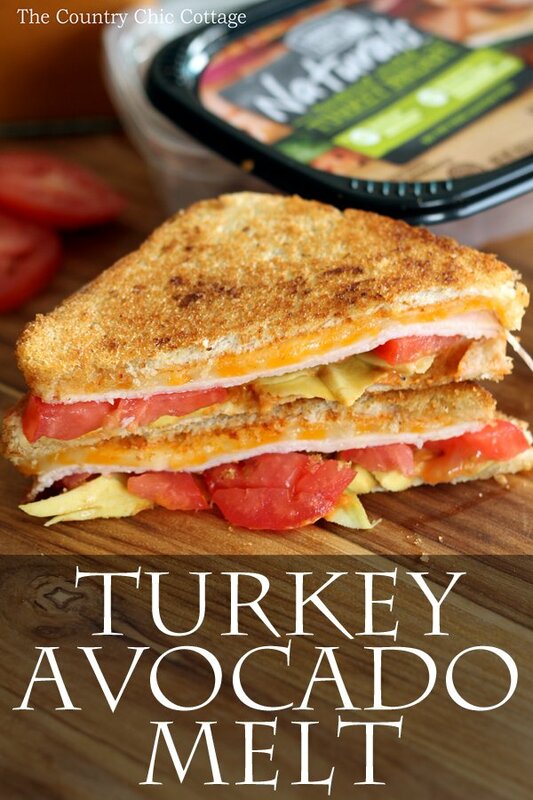 Y’all enjoy the natural goodness of these lunch meats with our turkey avocado melt recipe! Spread both pieces of bread with 1 tsp of the spicy chipotle spread or a spicy mayo. Layer on cheese, turkey, tomato, and avocado. Add to a skillet that has been heated over medium high heat with melted butter. Cook on one side until brown and flip to opposite side. Cook until the cheese is melted and both sides are brown.